Discover the unique beauty of Alaska and the Yukon Territory during this invigorating vacation. In Alaska, ride the Alaska Railroad in Deluxe Dome Service to Denali National Park, with its impressive mountains, breathtaking scenery, and amazing wildlife. During your guided wilderness tour, you’ll have an opportunity to seek out grizzly bear, moose, caribou, and much more. 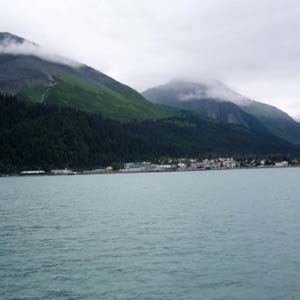 Also enjoy the magnificent scenery in Valdez, the "Switzerland of Alaska," during your cruise on Prince William Sound. Get a closer look at the Trans-Alaska Oil Pipeline and cruise aboard a sternwheeler riverboat in Fairbanks. 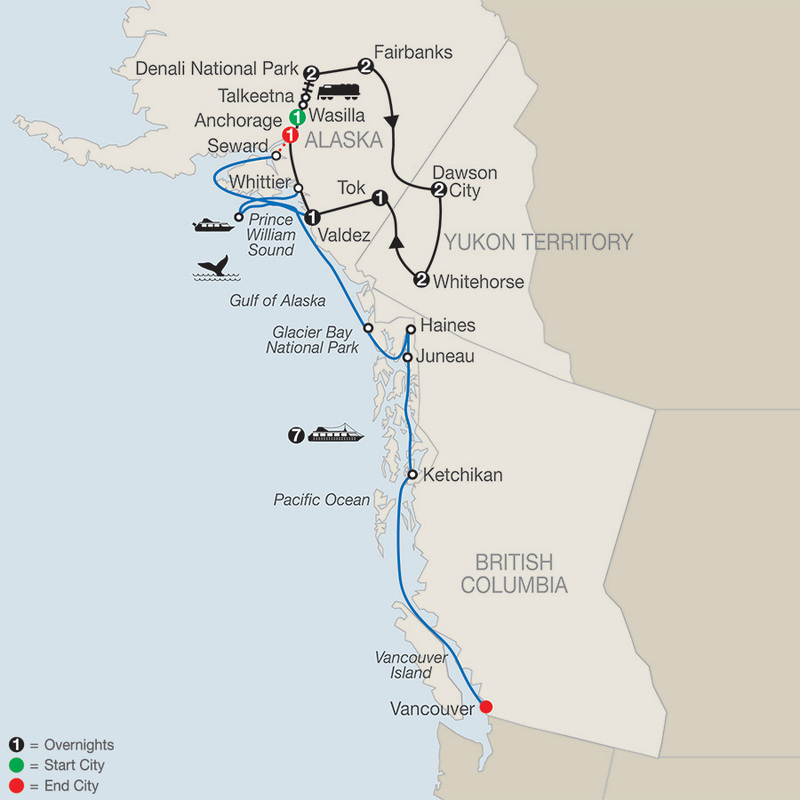 On this Alaska and Yukon tour and cruise, you’ll also experience some of the most majestic scenery in Canada combined with fascinating history. You’ll visit towns important during the Klondike Gold Rush in the Yukon-Whitehorse and Dawson City. In Dawson City, step back in time at the site where the first gold strike was made, and learn how gold changed this land forever. Enjoy entertainment at Diamond Tooth Gertie’s, Canada’s oldest gambling hall, complete with can-can dancers, ragtime music, and an old-fashioned casino. This is just a sampling of the wonderful scenery and many sights that await you on this marvelous Alaska and Yukon Territory and cruise tour. 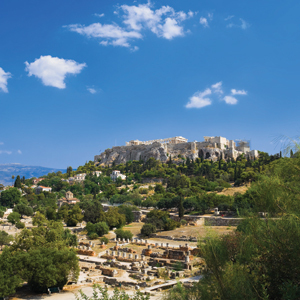 Globus has also arranged special experiences to make your vacation unique. For example, you'll hear an exclusive presentation on Denali National Park by a local Naturalist and in Whitehorse, you'll visit the premier dogsled facility, Muktuk Adventures, to meet the huskies and their trainers. On your 7-night Alaska cruise, cruise through the awe-inspiring Inside Passage watching for whales, soaring eagles, barking seals, and more. Witness huge slabs of ice break off and "calve" into the sea in Glacier Bay National Park, and visit Haines, Juneau, and Ketchikan. Just imagine the memories you’ll create on this spectacular vacation!